Villa was in a Quiet gated complex with lovely gardens and well kept grounds and nice secluded communal pool. 10mins Walk from beach and few minutes from restaurant. small village also 10mins with ATM's and small grocery shops (and great bakery). Villa had everything we needed and owners, with their caretaker, couldn't be more helpful and approachable. We had a wonderful stay and would definitely stay again as we loved the location and the villa and would recommend to anyone who asked. It always makes us happy when guests enjoy our Casa Jorge - thanks for your kind words. Short walk to the clean beach, swimming pool basically by the house, nice neighborhood (I felt safe), very comfortable house. Loved the musical instruments as a decoration! We are happy that you enjoyed the house and we hope to have you as a guest again soon. beautiful well maintained clean property ,lovely location to stay at for women & families . spacious house too ..hosts georg and ivana reply promptly to all queries on email ...so great to deal with them .they have thoughtfully kept towels,linen,utensils etc for a comfortable stay. i had some problems with the caretaker though ...we reached at 3.30 yet the house was not ready ...we had to wait for an hour till it was ready ..we were tired ..hungry from a long road journey so that was painful..the caretaker was away for next 3 days ...it being new year ..its understandable but we thought at the price we paid we will atleast get a cleaner to come and do a basic 20 minute cleaning everyday but there was no one around for the next 4 days of our vacation . the caretaker forgot to keep the iron inside the house that was a huge problem on new years eve since its a quiet village location so nothing nearby , the bicycles were not ready ....iron and bicycles were mentioned in the amenities list. Dear Doris, apologies for these problems, especially for the misunderstanding with the iron. You might remember that we are offering to our guests a flexible checking in and out times which is considered one of the big advantages (especially when they have later flights), but sometimes it does not work one hundred per cent perfect. Unfortunately the previous guest left at 2 p.m. and your expected arrival was 3 – 4 p.m. which, as it seems, did not give enough time to clean before your arrival. The cleaning is done as per our rules once a week (as advertised), so we decided to agree to allow our caretaker to leave after he had accommodated you – it was also his daughter´s birthday and he wanted to go to his native village just for 3 days. 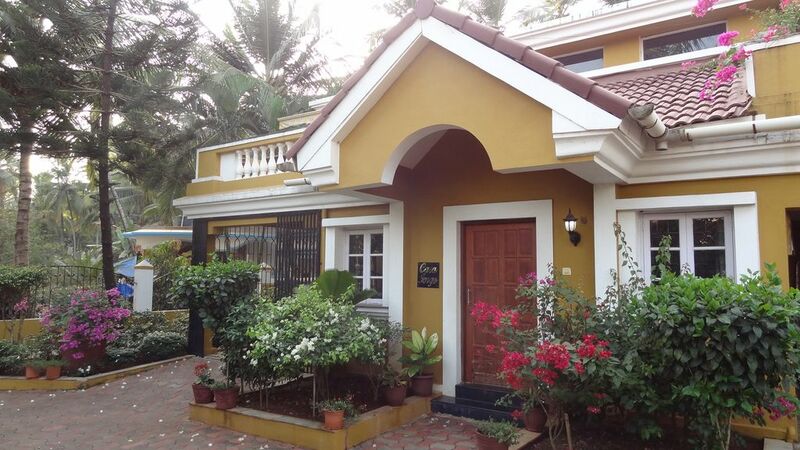 The house is perfectly located for both traveling around Goa and for enjoying the nearby beach, which is nicely clean and with few friendly shacks to have some food and drinks. Everything in the house was just perfect, including internet connection, airconditioning, kitchen etc. Furnishing is nice and decorative. We really enjoyed our stay, thanks.